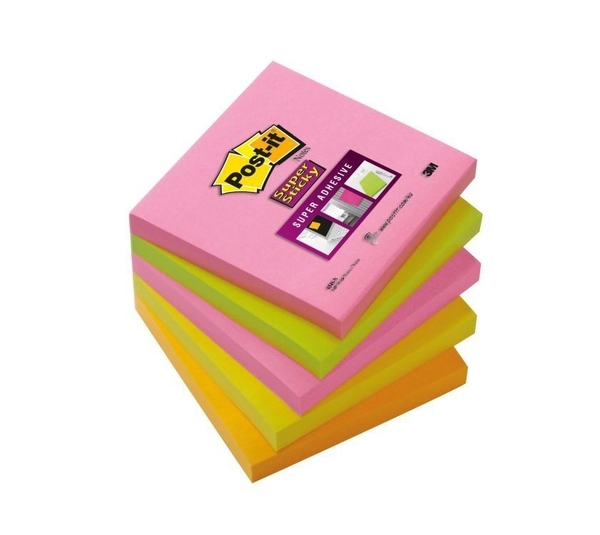 Post-it® Super Sticky Notes stick around as long as you need them to. Perfect for vertical and hard-to-stick-to surfaces, they are super-strong, super-adhesive, super-versatile - and super-stand-out. With a range of large sizes and bright colours they really get your messages noticed.